Designer Pamela Lindgren has created these hand casted glass kidneys specially for the Swedish Kidney Association. The glass kidneys are produced in Sweden. 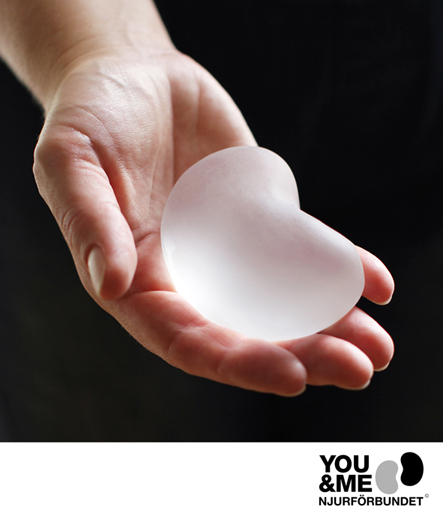 YOU&ME are individually moulded glass kidneys, naturally-sized and with a special matt finish. They act as magnifying glasses. The idea is that your own words or a special name or photo can be placed under the glass, as a memento. The glass kidneys are available on sale in clear glass and frosted glass, the clear glass with magnifying-glass effect. Their dimensions are 9 x 5 x 3 cm (length, breadth, height), about the size of a hand. They are sold under the Swedish Kidney Association Trademark You & Me. The perfect present! Give somebody dear to you a handmade glass kidney and at the same time give your support to the Swedish Kidney Association!